(Behind the News) Israel’s intelligence community has determined that Iran deployed 50,000 troops in Syria. Israeli military intelligence commander Maj. Gen. Aviv Kochavi said Iran has taken over much of the Syrian campaign against Sunni rebels. Kochavi said Iran deployed Hizbullah and Shi’ite fighters in Iraq to protect the regime of President Bashar Assad, whose military dropped from 220,000 to 50,000. “The damages of the imminent fall of Syria are very high for both Iran and Hizbullah,” Kochavi said. 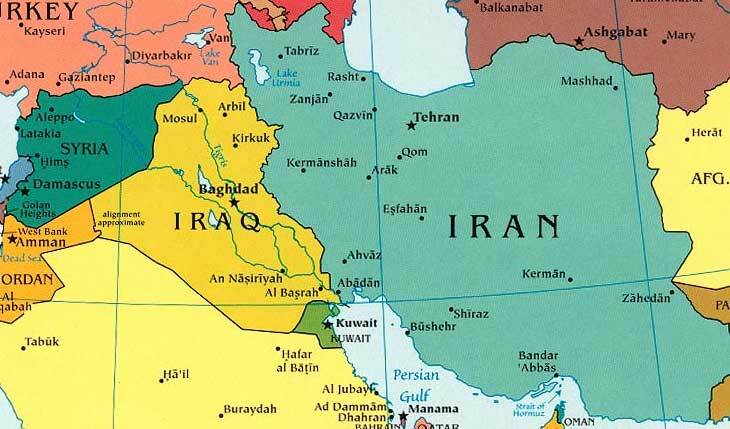 Iran is losing a sole ally in the region surrounding Israel. It will lose the ability to transfer weaponry through Syria to Hizbullah. Iran and Hizbullah are both doing all in their power to assist Assad’s regime. In an address to the Herzliya Conference on March 14, Kochavi cited a much greater level of Iranian military involvement than acknowledged by NATO. The military intelligence chief said Iran’s Islamic Revolutionary Guard Corps and Hizbullah formed a special force assigned to protect the regime in Damascus. “They support Assad operationally on the ground, with strategic consultation, intelligence, weapons,” Kochavi said. Kochavi said the 50,000-man force built by Hizbullah and Iran was separate from that of Assad’s military. He said the Iranian-sponsored force, called the “People’s Army” would soon reach 100,000 fighters amid repeated failures by Assad to mobilize Syrians. So far, only 20 percent of required recruits have reported for Syrian military duty. The People’s Army was said to have been launched in late 2012 and overseen by IRGC Quds Force commander Maj. Gen. Qassem Suleimani. Officials said Suleimani has been in Damascus for the last few months to direct counter-rebel operations. Kochavi said the People’s Army represented Iran’s determination to remain in Syria even with the fall of the Assad regime. He said neither Iran nor Hizbullah could lose Syria as a strategic hub. At the same time, the Syrian Air Force has also expanded operations. Kochavi said the air force was conducting between 40 and 50 sorties a week and other units were firing the Scud-B and M-600 missiles. The Assad regime has also fired at least 600 rockets with a conventional payload of 250 kilograms. Kochavi said Assad fired 70 Scuds and M-600s during the two-year revolt. The intelligence assessment also detected threats by Al Qaida-aligned Syrian rebel militias. Kochavi said such militias, which he termed “global jihad terrorists” were spreading throughout Syria as well as Egypt’s Sinai Peninsula. “The threat of a security deterioration, caused either by us attacking, or a terrorist attack on us is growing,” Kochavi said. The Jobar synagogue in Syria has been severely damaged by Syrian forces in Damascus. This 2,000 year old synagogue was built in honor of the prophet Elijah. It was constructed over a cave where Elijah was believed to have hidden from persecution. Jews have made pilgrimages to this synagogue for centuries. (The Israel Project) Israeli Air Force jets struck a weapons convoy traveling from Syria into Lebanon Tuesday, in an operation that appears to have been aimed at preventing the Iran-backed terror group Hezbollah from acquiring advanced SA-17 anti-aircraft missiles from the increasingly endangered Bashar al-Assad regime. Nasrallah is interested today to remove to Lebanon today everything that he can that is under his custody. Everything that is on Syrian soil in the understanding that Syria is going to tear [itself] apart — they are losing control, Sofrin explained. We are now looking very carefully to see [if there are] some convoys coming out from Syria to Lebanon transferring weapons systems and maybe some other things as well, by which I mean chemical weapons. It (the warhead) can be suitable for the Scud missiles and can be mounted on them and this is something we are looking very carefully at. I think that if we have solid evidence shared by our own partners all over the world that chemical warheads are being transferred from Syria to Lebanon, to the Hezbollah, I think that no one will condemn Israel for trying to prevent it, he said. GENEVA, Dec. 18 – The U.N. General Assembly today adopted nine resolutions on Palestinian rights and the Golan, sharply criticizing Israel yet making no mention of Sunday’s massacre of Palestinians by Syrian warplanes firing missiles into a mosque in a Palestinian refugee camp near Damascus. Nor did the texts mention the tens of thousands of Palestinians who continue to flee the camp. By the end of this week, the current 2012 UNGA session will have adopted 22 country-specific resolutions on Israel – and only four on the rest of the world combined, one each for Syria, Iran, North Korea and Burma, noted UN Watch. “The U.N.’s disproportionate assault against the Jewish state undermines the credibility of what is supposed to be an impartial and respected international body, and exposes the sores of politicisation and selectivity that eat away at its founding mission, eroding the U.N. Charter promise of equal treatment to all nations large and small,” Neuer added.